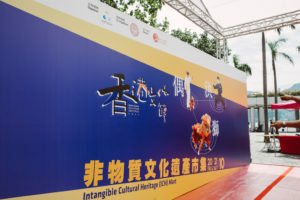 T he third edition of Intangible Cultural Heritage (ICH) Mart will be once again staged at the Hong Kong Cultural Centre Piazza, and extended to 3 days following the substantial support from the public last year. 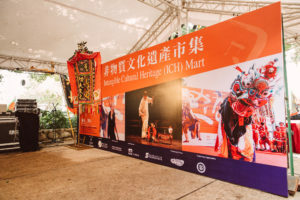 Highlighting a different theme each day, the Mart will revitalize a series of time-honoured customs and present a truly eventful weekend for audience of all ages. 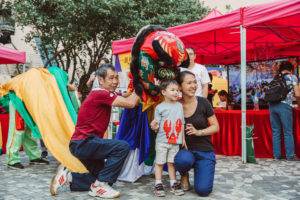 Designed as a fiesta for everyone to enjoy, the mart will feature game booths, workshops, display boards and talks, as well as rarely seen performances such as lion and unicorn dances, puppetry, Nanyin (Southern Tunes sung by blind artistes), and more. 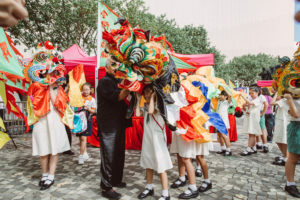 ICH Mart welcomes its visitors to rediscover the quintessence of Hong Kong’s uniqueness through these traditional art and celebratory rituals. Alongside traditional customs, ICH mart will also bring back some of people’s favourite childhood delicacies. 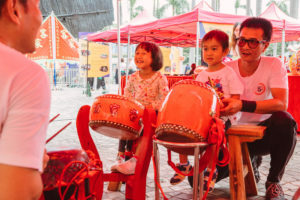 By participating in various activities at the mart, visitors will be entitled to enjoy a selection of traditional snacks, including Ping On Bun, Paederia Scandens Rice Cake, Sesame Peanut Soft Candy, Put Chai Ko, and Steamed Glutinous Rice Dumpling, etc. Not only is it a gastronomic exploration for the young, but also a chance for the others to reminisce on fond memories. 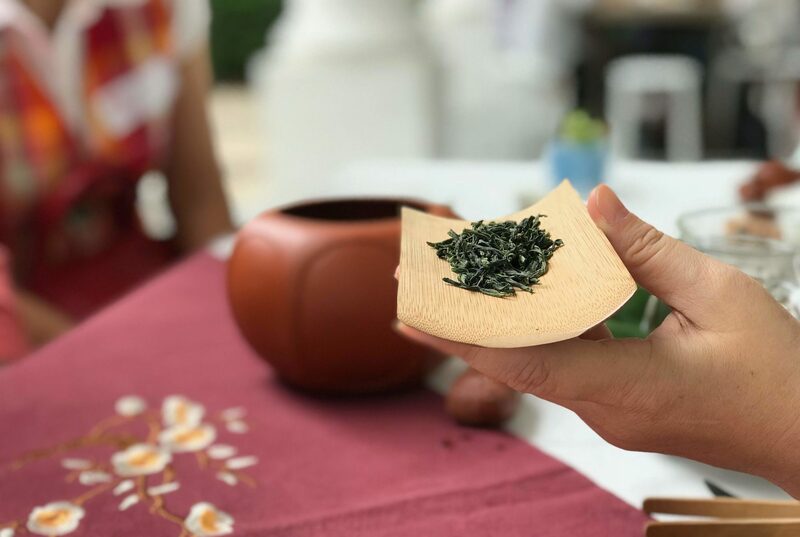 In collaboration with Chaway, a tea salon will be situated at the mart, where participants can taste 6 different types of Chinese tea: green, white, yellow, oolong, black, and post-fermented tea, while learning their origins and indulging in the exquisite tastes and diversity of Chinese tea culture. 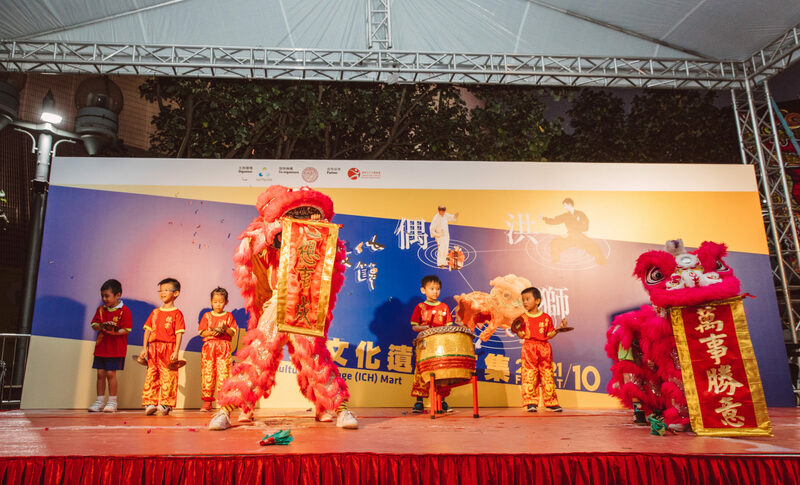 We will prepare some Lions and our Lion Dance masters will show you the basic skills of Lion Dance. and on-site registration is welcome. 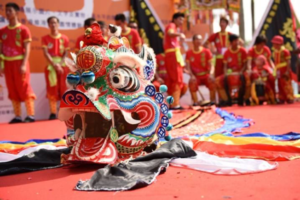 We will prepare several sets of Lion Drum for you to experience. Our Unicorn Dances masters will prepare some Unicorns and show you the Unicorn Dance basic skill. 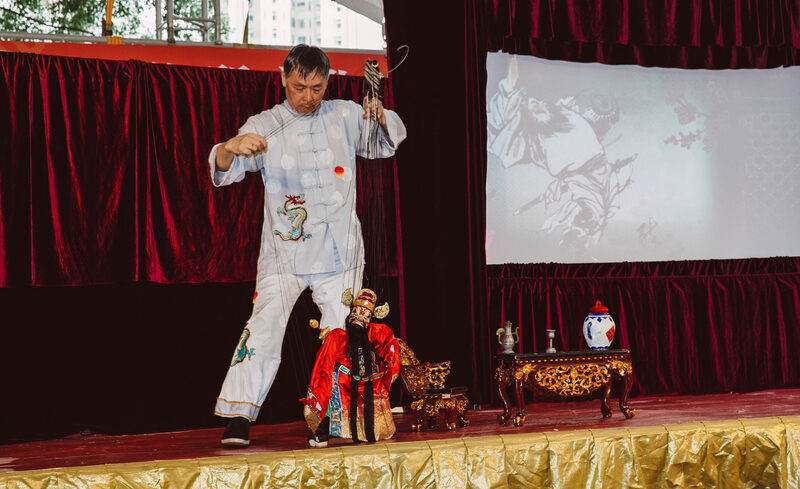 Puppet Master WONG Fai will teach you the making of puppet. Nanyin (Southern tunes) is a form of narrative singing in the Cantonese dialect popular in the Pearl River Delta. 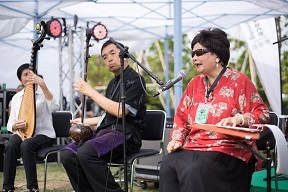 Nanyin Master TONG Siu Yin will sing, talk and discuss the unique features of nanyin with you. Our master will show and teach you the making of Paper Crafting - Fortune Bats. 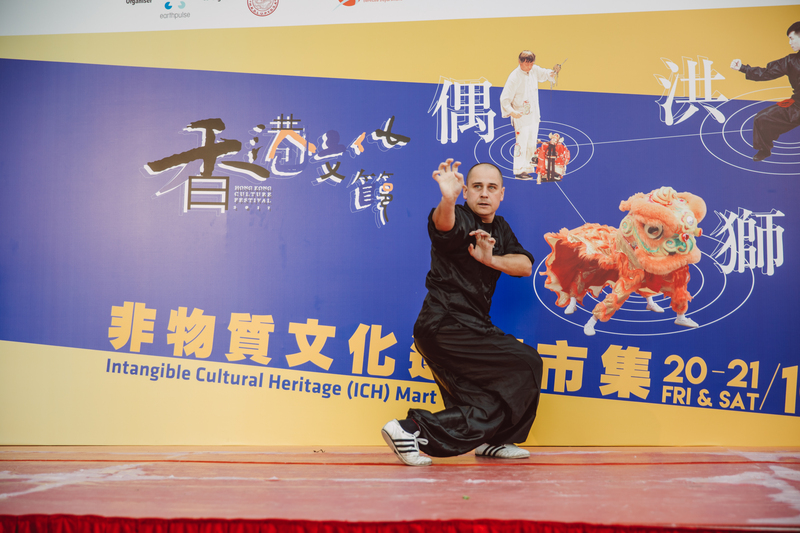 Our Hakka Masters will show you and teach you the basic skill of Hakka Kung Fu. 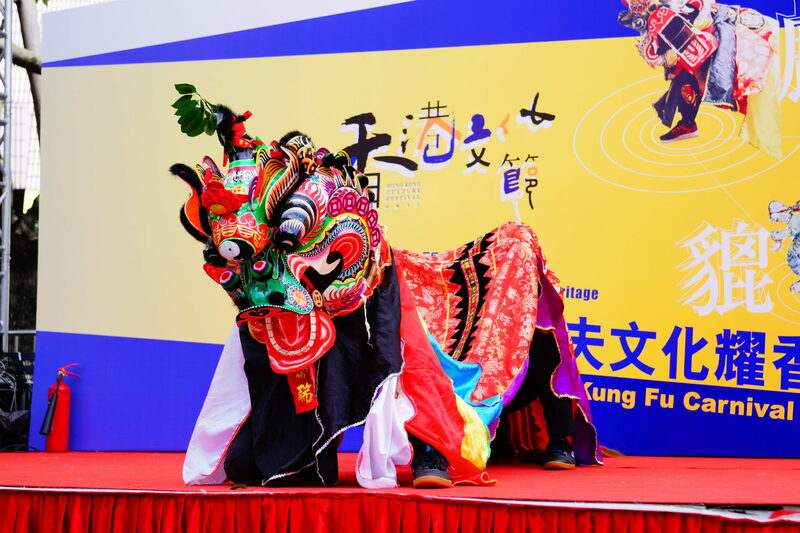 We will prepare 3 Pai Yau and our Masters will show you the skill of Pai Yau Dance.